Read below to read more about NH Salvage in the News. Women who customarily buy their pyjamas and under garments at La Vie en Rose and La Senza take note! NH Inc has received over $400,000 worth of high end lingerie including top brands such as Calvin Klein, Chantelle, Forever New, Arianne, Lou Paris, Triumph, Blush and others. Bras, teddys, loungewear, underwear and bathrobes are reduced by 75% off of regular prices. Most women know how pricey it is to acquire magnificient lingerie….so head on over to Saint-Laurent to get yours at great prices! “Wow” is what most shoppers exclaim the first time they walk into NH Inc. Greeting customers at the front door are name brand swimsuits marked down 60% below suggested retail prices. 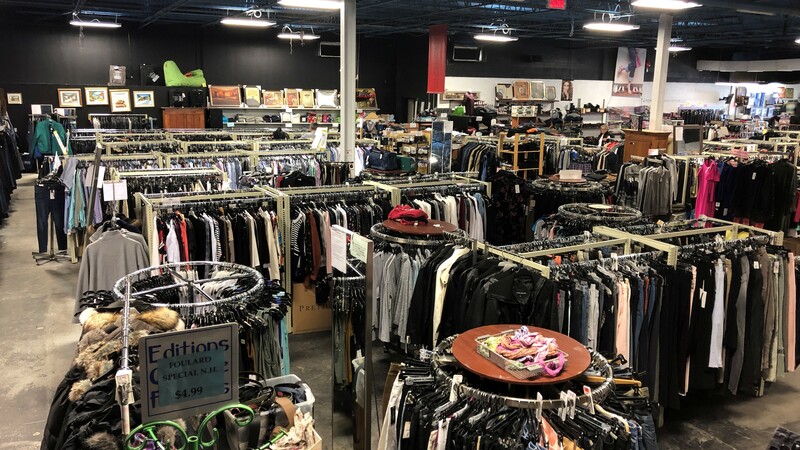 Venture inside, and you will see some 100,00 items of sale: clothing, kitchen appliances, pet supplies and more in a 26,000 square foot location. Brand name products are selling here for prices up to 70% off suggested retail prices. Merchandise for sale here caters to all age groups from New-born babies to adults. 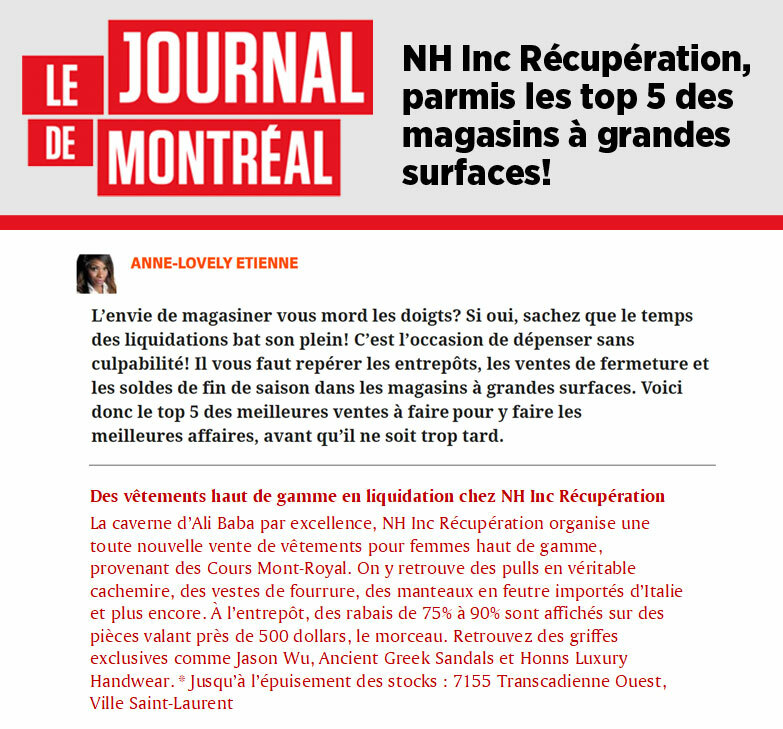 Read more here in the Montreal Times article. Workers assigned to unload the container of women’s coats from China knew something was wrong the minute they opened it. The smell was unbearable. Turns out a cat had somehow snuck aboard for the three-and-a-half-week voyage, without food or a litter box. The few coats removed were tossed back in and the entire shipment of 1,200 quickly rejected by the retailer to whom it was destined. Now the coats were the insurance company’s problem. So who do insurers call when stuck with a container full of tainted winterwear? The 53-year-old Montrealer is a salvor, someone who works with insurance companies to assess, salvage and dispose of goods that are the subject of commercial insurance settlements. His company, Récupération NH Inc., is only 3 years old, but Horowitz has decades of experience, having worked previously for his father, Syd, before and after obtaining a commerce degree from Concordia University. “I grew up in the business,” Horowitz said in an interview. “I was like a kid in a candy store going to the warehouse on Papineau. You never knew what you’d find: motorcycles, kids’ toys, groceries. But you also came to appreciate that it’s hard work.” The job also requires resourcefulness, trust and a network of contacts, because you never know what the next phone call will bring. Insurance companies are looking to cut their losses after paying out a claim, so what Horowitz can recover for them from disposal of the goods is an important financial consideration. Normally, he gets a percentage for his trouble, as well as fees for warehousing and for preparing damage assessments that he’s often required to back up in court. Nothing gets sold until a file is closed, so he rents locations around town for secure storage of the goods. In one contentious case, he has had items in storage for seven months. Disposal, once authorized, takes various forms. Sometimes the claimant will end up selling the damaged inventory itself, with the insurance company providing partial compensation. Some items are too far gone or too expensive to clean and end up getting trashed. 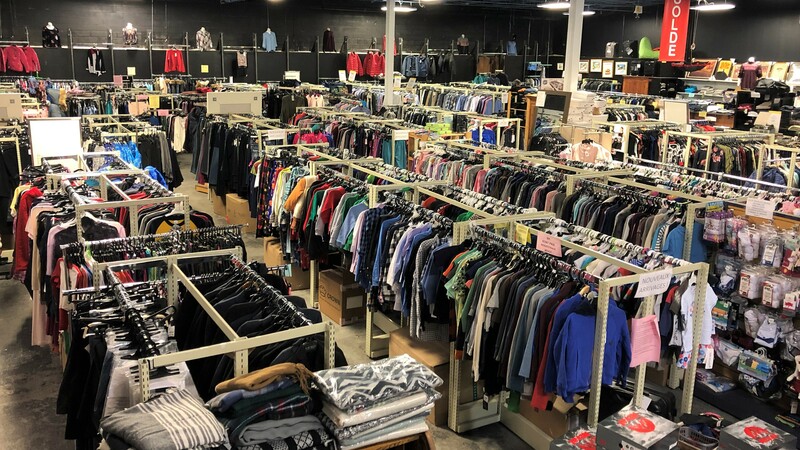 “A boutique downtown had 8,000 to 10,000 T-shirts damaged in a flood. It would have cost $2 a unit just to dry them out, and you wouldn’t get that for them on the secondary market. You couldn’t even donate them. So we just put them in a compactor,” Horowitz said. 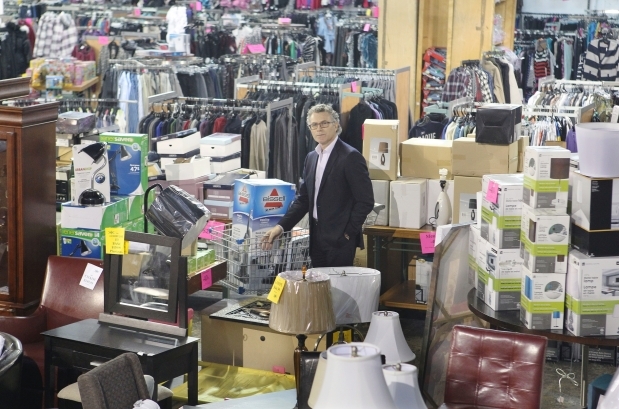 Salvageable items get sold in bulk to his extensive list of contacts on secondary markets, or offered to the public for quick sale at his own liquidation centre, open seven days a week in a rented 26,000-square-foot building that used to house a paintball operation along the Trans-Canada Highway in Ville St. Laurent. 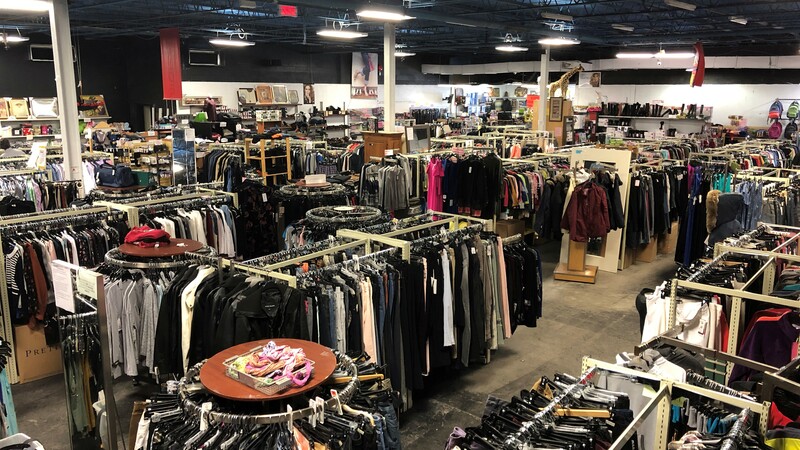 Horowitz calls the liquidation centre “Ali Baba’s cave,” because customers never know what cut-rate treasures await them. 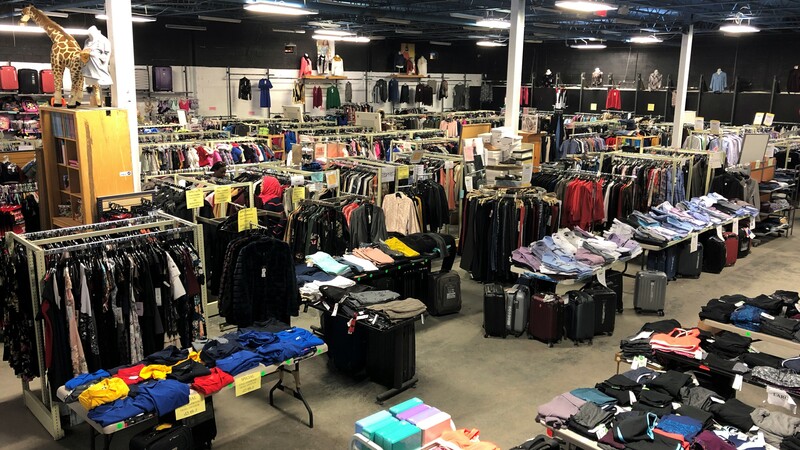 The congested space features everything from clothes and ski boots to fabric, toys and furniture, some still bearing the water marks and soot that got them there but many with no visible imperfections, all selling for a fraction of the original retail price. He also stocks it with items he purchases personally from bankruptcies and inventory liquidations. “People who come here say it’s like Storage Wars (the hit TV show where participants never know what’s behind the doors). It’s all about discovery, finding bargains, the ‘wow’ effect. In a tough economy like this, where people are losing their jobs, they appreciate it,” he said. If the clothing has no label, it may be because the retailer it was destined for insisted on removal of any identifying tag. But it still sells. 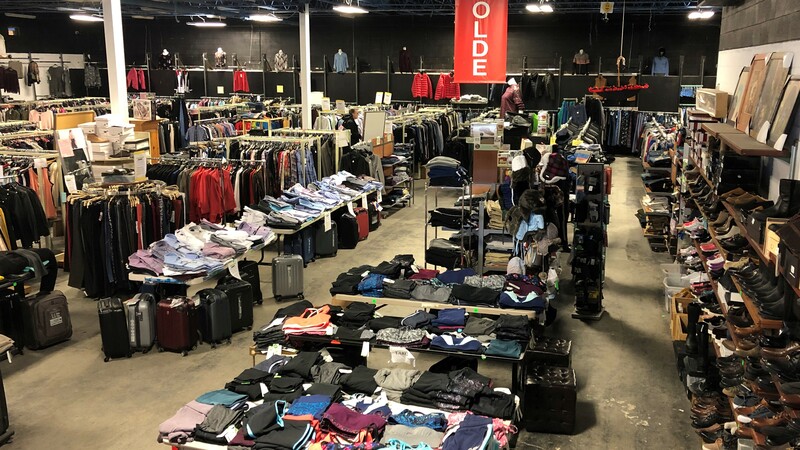 “It took three months, but I got back over $300,000 for the insurance company on $1 million in suits, coats and sports jackets from one high-end store that had a fire,” Horowitz said. Soft-spoken and nattily attired, Horowitz seems a bit out of place in the cluttered aisles of his no-frills emporium, but he said he enjoys mixing with the public. Still, he often gets called away. The next phone call or email may be summoning him to a flood, fire or roof collapse. “By now, my wife is used to it,” he said. So what ultimately happened to that container full of cat-contaminated coats? They went first to one of his warehouses, where employees in masks unloaded them and hung them on rolling racks to air out. Horowitz inquired about professional cleaning, but the cost was prohibitive. So after having the labels removed, he unloaded them as is to another jobber on the secondary market. Where they ended up, he’s not sure. He got $18 a coat. “We got back about 36 per cent of the value,” he said. Without the cat, they’d have retailed here for more than $300. As for the cat, it made a beeline for freedom at the first opportunity and was never seen again.